Never worry about having enough money to print that homework assignment (or flyer) when printing to an on-campus printer. Print Smart allows you to manage your print allowance; just authenticate using your username and password to authorize a print job. Track your usage and remaining allowance online. The Division of Information Technology (DoIT), in partnership with student government, have adopted printing procedures to reduce waste. Print Smart tracks print usage for MU students, faculty, and staff. 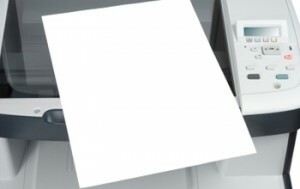 Students use their non-refundable print allowance to print to numerous on-campus printers; the cost of each print job is deducted from that allowance. The student Print Smart allowance is allocated at the beginning of each intersession so if you are enrolled, you can print, including Summer Semester! Undergrads receive $17.50 for Fall and Spring semester, $7 for Summer semester. Graduate/Professional students receive $25 for Fall and Spring semester, $7 Summer semester. Students can track usage and remaining allowance online. Used up this semester’s allowance? No problem, the cost of each additional print is charged to your student account. Faculty and staff (or students with departmental teaching/research appointments) can print to campus printers using a MoCode for payment. Ask your department fiscal officer to add you as an authorized user to the appropriate MoCode. Then authenticate with your username/MoCode and password to authorize your print job. Print Smart printers use the following charging matrix; student printing is automatically deducted from your Print Smart allowance. Students must be enrolled to take advantage of their print allowance. To print during intersession, you must be enrolled for the upcoming semester. Just enrolled? Allow 24 business hours for your print allowance to be allocated. Remember, if you need to request a refund, you must do so within 72 hours; request your refund online. Faculty, staff, and students with departmental teaching/research appointments must be authorized to a MoCode before printing in the computing sites. Fiscal officers use the Print Smart account manager to add an authorized user to a MoCode. MoCode access will take 24 hours to be in effect. Print job didn’t come out quite right? Request a refund within 72 hours online. Just need to print a few pages? Visitors to campus as well as faculty and staff may find it more convenient to visit any Ellis Library public workstation and print (currently 10 cents per page). Stop at the Circulation Reserve Desk for more information.